Pressure vessel and shipbuilding steels according to European and US standards now also included. SSAB Multisteel covers a number of European and US standards for pressure vessel, shipbuilding and structural steel plate in the 260-355 MPa yield strength range. This versatility allows for streamlined stock while still satisfying customer needs within a wide range of applications. 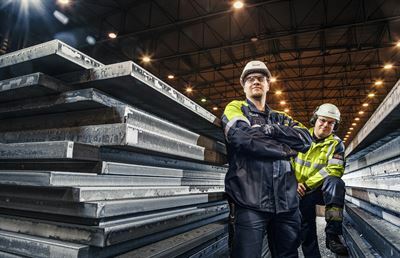 SSAB Multisteel has a very narrow window for dimensional tolerances, chemical composition and mechanical properties. This results in reliable workshop performance every time. Excellent welding performance is ensured by a CEV value that is lower than standard for most grades. Bending properties are guaranteed to be better than what is stated in the Euronorm requirements. The consistent yield strength and thickness accuracy from batch to batch make for predictable and repetitive spring back. Minimum bending radius is 2 x thickness in all directions. When customers decide to start production of any general steel construction, waiting for the right steel is not an option. 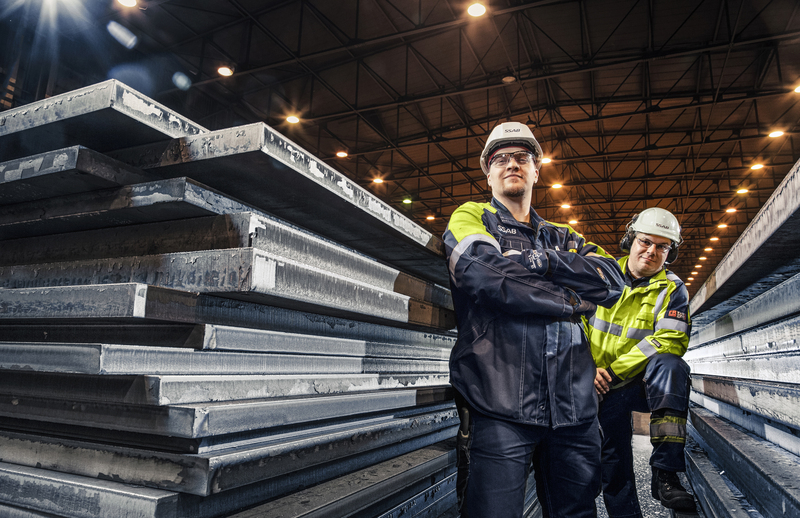 With SSAB Multisteel in stock, it is easy to deliver the required grades and dimensions fast. There’s no waiting around for special orders to arrive from the mill.